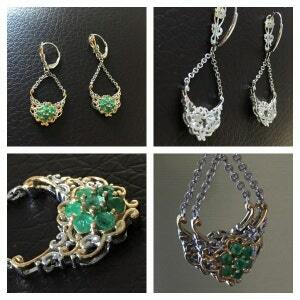 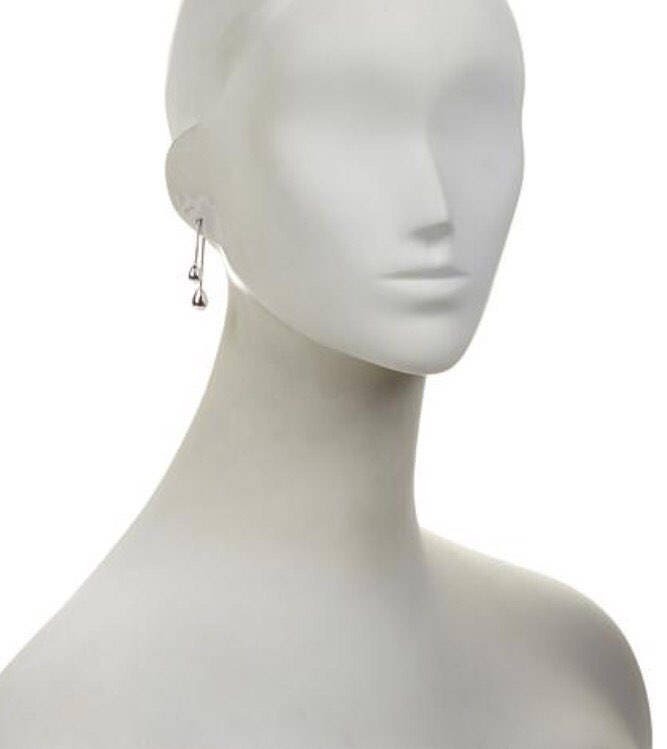 You'll look fashionably fab whether you're coming or going with these pretty, front-back earrings. 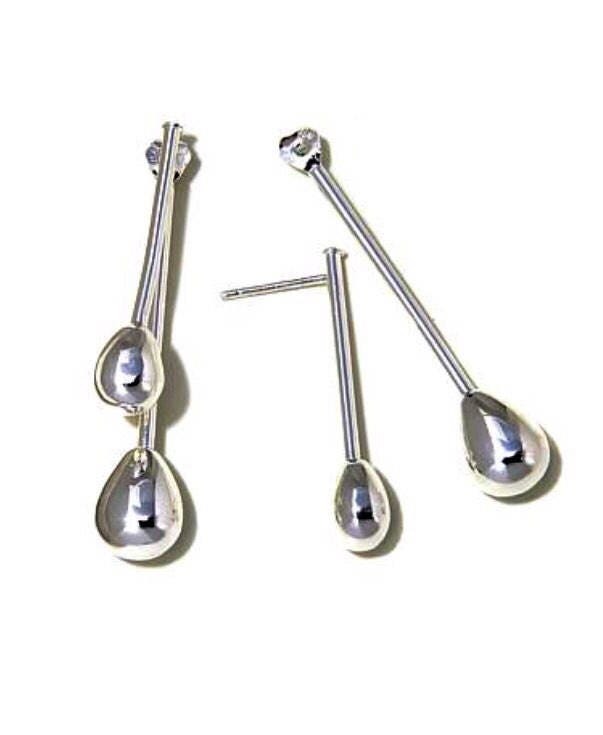 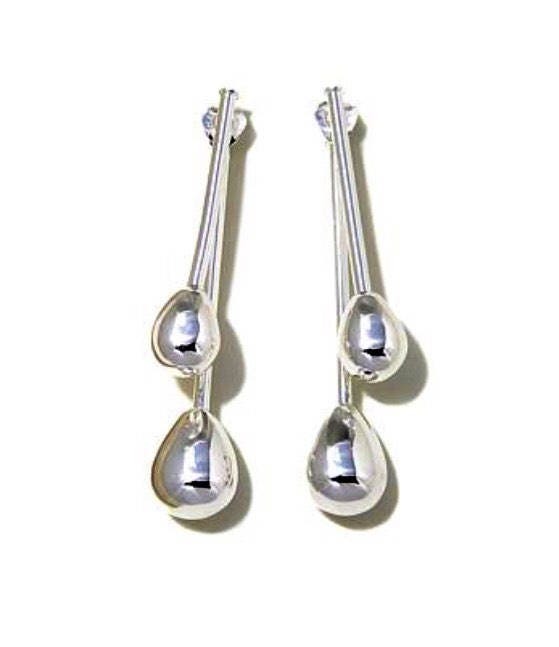 Pendulum-style polished drops dangle on both front and back sides of your ear, bringing sleek, contemporary style to any outfit. 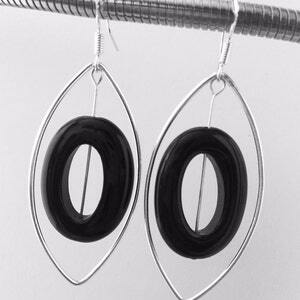 Sterling Silver Geo metric Onyx drop Earrings. 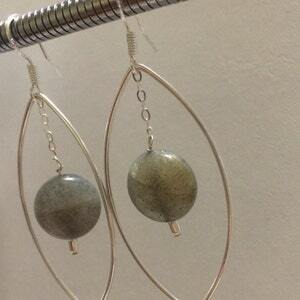 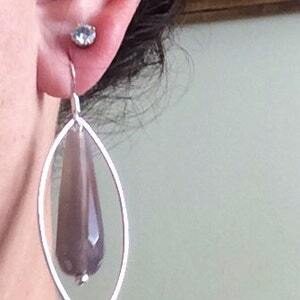 Sterling Silver Labradorite drop Earrings.